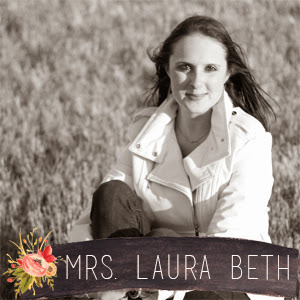 Mrs. Laura Beth: Becoming a Mrs.
A (sort of) milestone has passed, Steve and I have been married for six (6) months!! Yep, that is right yesterday, the 8th, marked our 6th month of wedded bliss, half of a year has already passed - Crazy! So, you ask how is marriage … really? Well, you will get the same answer I give everybody … it is great but not much different. Steve and I have been loving each other since 2006, our marriage made it official before God, our family & friends and it was the most amazing day of my life but I'm happy to say he is still the same Steven and (I hope) I'm still the same Laura. Our new life as husband & wife really is great though. We have a place to call 'our own' and I love hanging out with my hunky hubby just doing nothing … seriously something as simple as doing the dishes with this man makes me happy - maybe that is because he washes and I dry (most of the time). Ugh, praise whoever invented the dishwasher and I promise I will never take it for granted when I get one again. Since I haven't talked about it on the blog I'd like to recap our wedding day. The day started off will my best girls! I spent Friday night with my sister and future sisters at Stacy's house (didn't want to break tradition and see my groom) and then Saturday my bridesmaids and personal attendants showed up and we had a great morning enjoying mimosas, muffins & blueberry bake while getting our hair done. My whole day seemed to be a blur, the day was finally here, the day I had been planning for … I'd been planning for it well before our engagement and it had arrived. I was excited, nervous, overjoyed, overwhelmed, ecstatic; so many emotions inside me I had to remember to breathe every now and then. My girls and I got ready while Steven got ready with his boys and then it was time for me to see my Groom. Ahh he was as handsome as ever, seriously those grey tuxedos were AMAZING! We wrote letters to each other for our wedding day and after reading it, he made me remember why in a few short hours we would be standing next to each other promising our whole lives to each other … Yep I truly Love him! After hours of torture for some but my favorite thing, Pictures, we were ready for the I Do's. The ceremony was great, well what I remember anyway, thank goodness for a video camera to capture the moment that I want to relive over and over. We all had a wonderful time at the beautiful reception & dance, I hardly left the dance floor and had a great time with friends and family. 09.08.12 was a day I will never forget and I am so blessed to have Steven in my life and to have gained a great set of in-laws! Now I will leave you with some of my favorite photos from our special day. 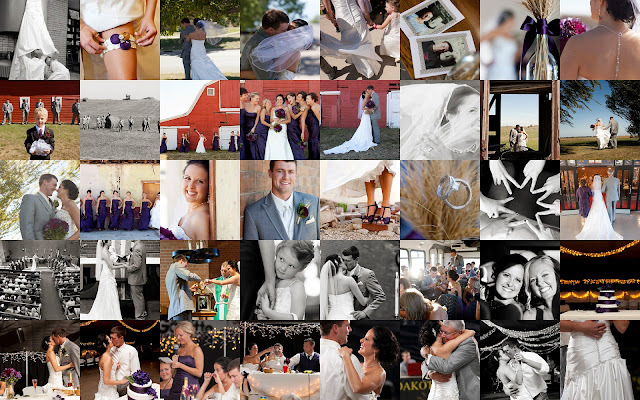 All photos taken by the wonderful Milestones Photography. I love your new design! So simple and elegant. Lookin good! Your wedding looks beautiful! Such pretty colors and happy people. Congrats on 6 months!